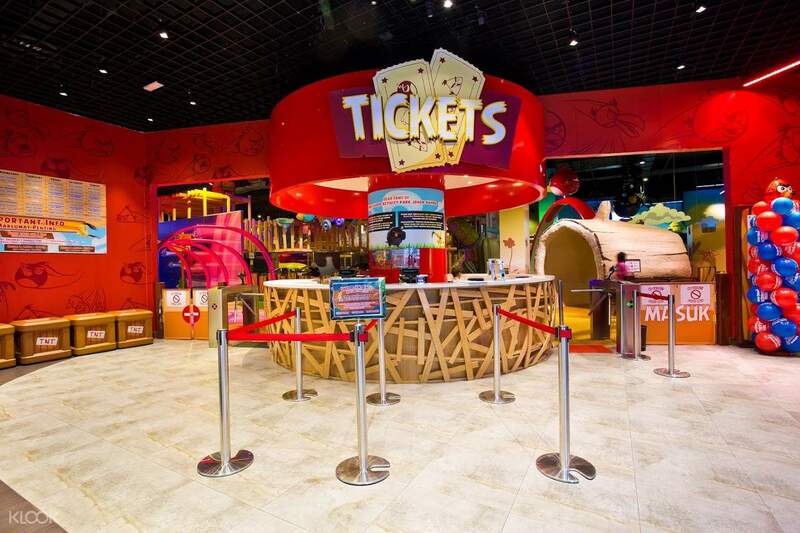 If you're a fan of the popular mobile app game, Angry Birds, then this is the perfect place for you to visit! Spend a day at the Angry Bird Activity Park and get a chance to meet your favorite Angry Birds characters. Located in Johor Bahru, just a short walk away from Customs, it's easily accessible if you're coming from Singapore or other parts of Malaysia, like Kuala Lumpur. Spend a fun day inside the park, and enjoy various activities that are perfect for kids and kids of all ages! 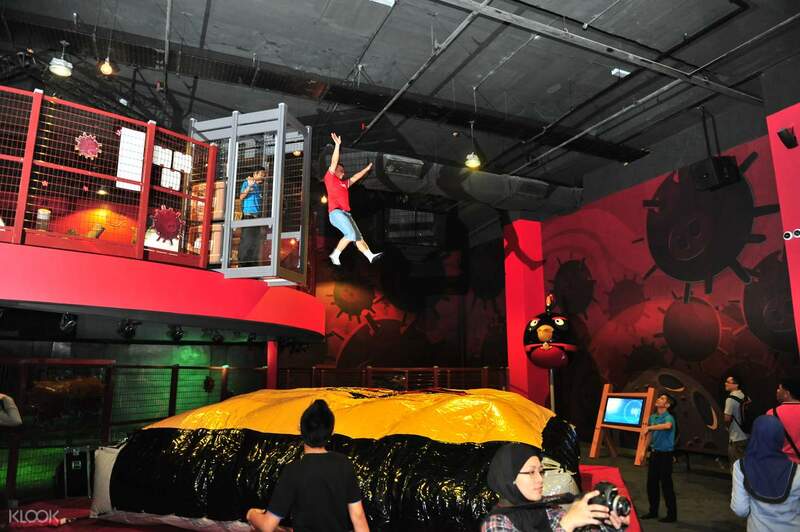 Visit the Danger Zone, where you can try activities that will surely get your adrenaline pumping like the Space Drop Air Bag, Lazer Bird Scoot and more! 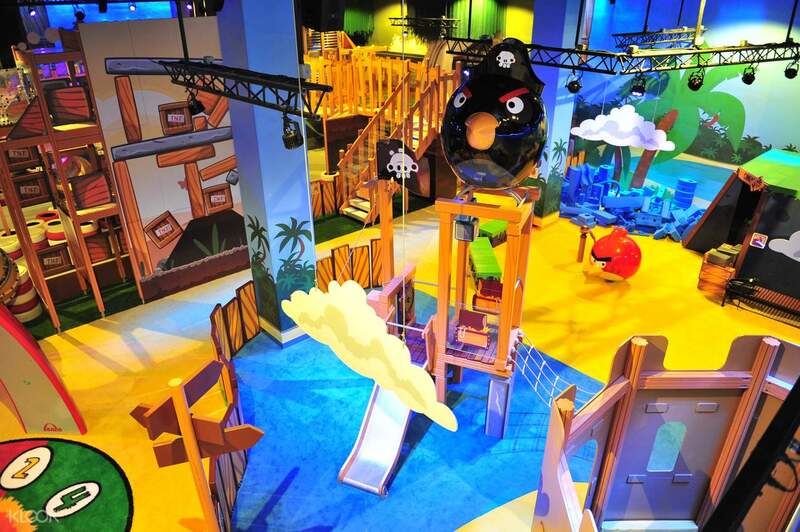 Try out the Bird Nest Climbing Track, or test out your driving skills at the Angry Birds Go! Kart Track. There's also a Red's Jungle Run, which is like an indoor obstacle course, perfect if your kids are looking for something on the more active said. There's much to do inside the park - a perfect day out for the entire family! 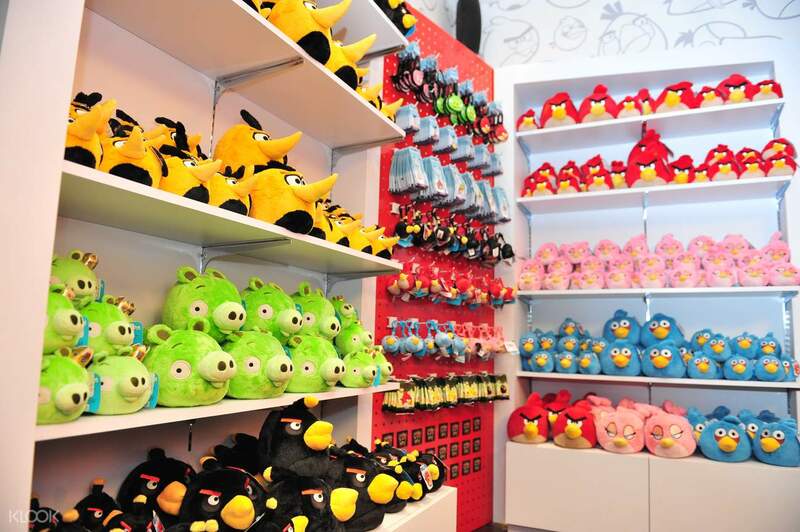 Don't forget to bring home with you some plushies of your favorite Angry Birds! Purchased the ticket from Klook was hassle free and cheap. We spent 3 hours in the park and got to try most of the activities. Would recommend to go on the weekdays as weekends are too crowded especially on the trampolines. Nevertheless, everyone enjoyed the day in Angry Bird Theme park. Purchased the ticket from Klook was hassle free and cheap. We spent 3 hours in the park and got to try most of the activities. Would recommend to go on the weekdays as weekends are too crowded especially on the trampolines. Nevertheless, everyone enjoyed the day in Angry Bird Theme park. Fascinating place, my kids love it ! full of activities & area to discover. even parents enjoying too. Lucky found this apps so we save 35% from retail/walk in price. Fascinating place, my kids love it ! full of activities & area to discover. even parents enjoying too. Lucky found this apps so we save 35% from retail/walk in price. It is my first time there. The place is really great. both my child enjoy very much. it os big enough for them to play 3 hrs. the plave is very clean also. my kids wanted to go back there again. It is my first time there. The place is really great. both my child enjoy very much. it os big enough for them to play 3 hrs. the plave is very clean also. my kids wanted to go back there again. Kids were having the fun time of their life here. Very recommended. Rest assured as kids are not allowed to go out from the park without their guardian. Kids were having the fun time of their life here. Very recommended. Rest assured as kids are not allowed to go out from the park without their guardian. It was a great experience going to this place. Manage to skip the que during entering the park activity. We also got less 25% compared to the original price if bought directly at the counter. My daughter & her cousins had a great & enjoyable playing time there. Thank you klook! It was a great experience going to this place. Manage to skip the que during entering the park activity. We also got less 25% compared to the original price if bought directly at the counter. My daughter & her cousins had a great & enjoyable playing time there. Thank you klook! A great place for the kids to run around. There is two separate area; one for smaller kids. Kids could play on trampoline, go-kart, jumping into foams, laser maze. Our kids (aged 9 and 6) had a great time. Just be cautious that on busy days, there are not enough staffs and kids may run / jump into each others. A great place for the kids to run around. There is two separate area; one for smaller kids. Kids could play on trampoline, go-kart, jumping into foams, laser maze. Our kids (aged 9 and 6) had a great time. Just be cautious that on busy days, there are not enough staffs and kids may run / jump into each others.